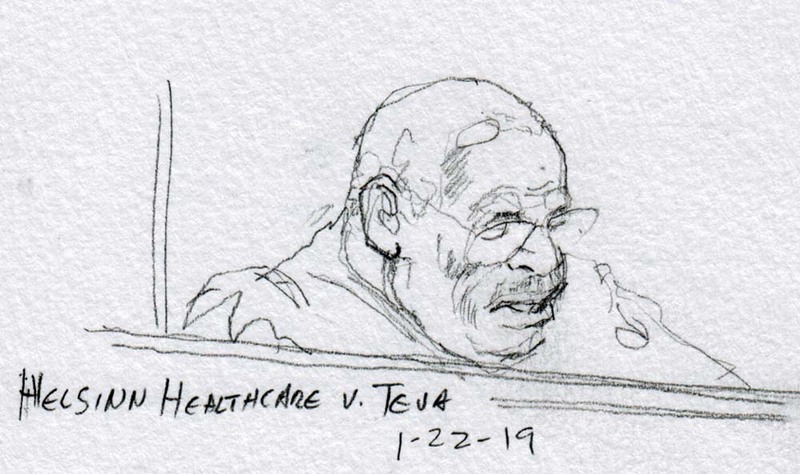 This morning’s decision in Helsinn Healthcare v. Teva Pharmaceuticals, the Supreme Court’s first patent case of the year, breaks no new ground. 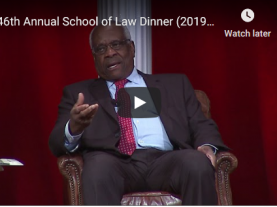 Justice Clarence Thomas’ opinion for a unanimous court holds that Congress’ 2011 revisions to the Patent Act, however important they might be in some areas, did not displace the long-standing rule that commercial exploitation of a patentable invention “bars” a later patent – even if the inventor manages to sell the patentable item without disclosing the details of the invention to the public. The patent statute traditionally is understood to implement a bargain between the public and an inventor, in which the inventor receives the exclusive right to exploit an invention for a limited time (the “term” of the patent). In return, the inventor must provide a detailed public description of the invention that allows the public immediate access to the patented technology. Because the purpose of the patent is to motivate the inventor to create and disclose the invention, it makes little sense to grant an inventor the exclusive right that a patent reflects if the inventor began exploiting the invention commercially long before it filed an application for a patent. Giving effect to that conception, the various forms of American patent law have included for almost two centuries a series of provisions that “bar” an inventor from obtaining a patent if the inventor exploits or publicizes the invention in a variety of ways. In particular, for much of that time the provisions have barred a patent if the inventor puts the invention “on sale,” at least if the conduct occurred more than a year before the patent application. Congress revised the relevant provisions in 2011 when it adopted the Leahy-Smith America Invents Act (universally known as the AIA), adding a catchall provision to the on-sale bar that prevents a patent if the invention was “otherwise available to the public.” Because the case turns on the relation between the new catchall and the long-standing on-sale bar, the language of the current statute is relevant: “A person shall be entitled to a patent unless … the claimed invention was … in public use, on sale, or otherwise available to the public” more than a year before the inventor filed an application for the patent. The issue in the case is whether the language of the catchall – barring a patent for inventions that are “otherwise” available to the public – means that the specific bars earlier in the provision (for inventions that were “in public use” or “on sale”) apply only if the activity in question (either a “use” or a “sale” of the invention) made the invention available to the public. Here, for example, respondent Teva (a prominent generic pharmaceutical manufacturer) challenged a pharmaceutical patent issued to Helsinn (a Swiss pharmaceutical firm). Teva pointed out that Helsinn signed a contract with an American firm for distribution of the pharmaceutical nearly two years before Helsinn applied for a United States patent on the pharmaceutical. The district court agreed with Helsinn that the patent was valid because the contract with the distributor did not disclose the terms of the patent, but the U.S. Court of Appeals for the Federal Circuit disagreed and the Supreme Court granted review. 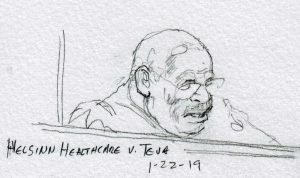 The opinion has the characteristic Thomas style (as distinctive as Justice Neil Gorsuch’s style, but without the hashtag): It is brutally succinct, limited (after a summary of the facts and proceedings in the lower courts) to only four pages of substantive discussion of patent law. As usual, the opinion reads as if the author is taking great care to avoid saying anything that might upset any apple carts unnecessarily. 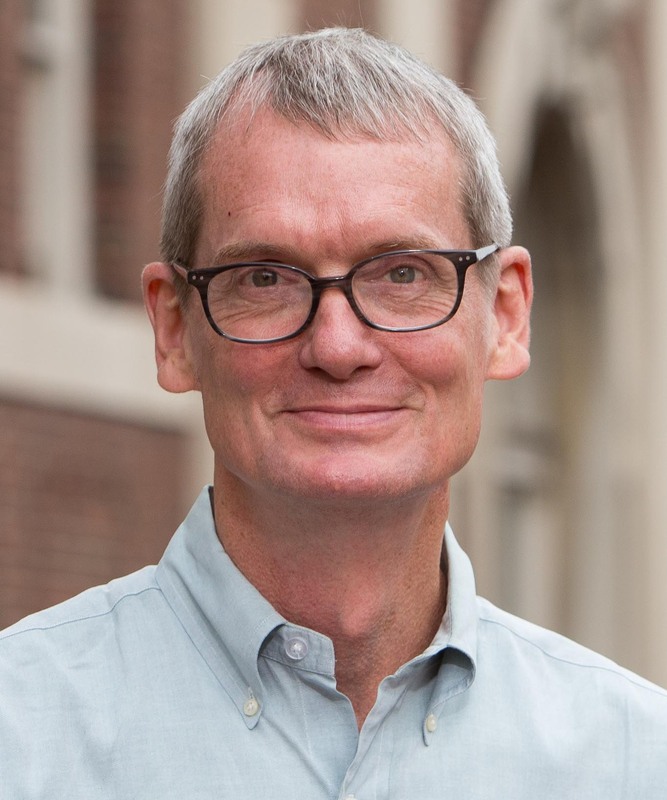 Also, although the opinion is short, Thomas freights it with so many quotations from earlier decisions that his original analysis occupies less than half of the four-page discussion. Like other such phrases, “otherwise available to the public” captures material that does not fit neatly into the statute’s enumerated categories but is nevertheless meant to be covered. Given that the phrase “on sale” had acquired a well-settled meaning when the AIA was enacted, we decline to read the addition of a broad catchall phrase to upset that body of precedent. Perhaps the most surprising thing about the opinion is its unanimity. 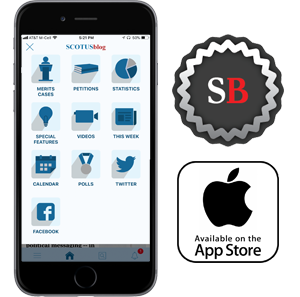 At least at argument, Justice Samuel Alito expressed grave doubts about fitting the traditional rule into the revised language. In the end, though, he saw no need to dissent from Thomas’ brief and uncontroversial opinion.